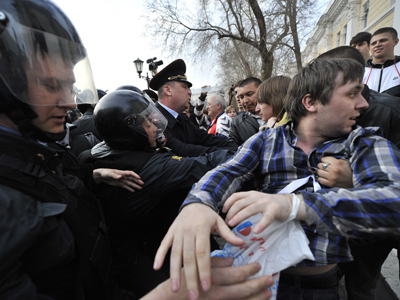 The Russian opposition will stage a rally called a March of Millions on May 6, a day before Vladimir Putin’s presidential inauguration, against what they believe was an “illegitimate election”. 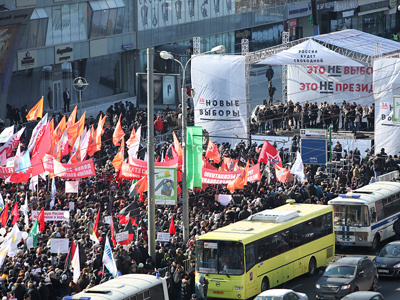 The organizers of the event are hoping thousands of people will join the protest in Moscow. “I believe if we manage to achieve at least the level of the winter protest rallies, it would be a good result and a good signal to the authorities. 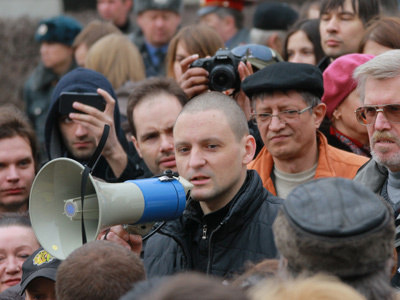 I think then we would achieve many of our goals,” Sergey Udaltsov, leader of the Left Front movement told gazeta.ru. He did not rule out that the rally could bring together even more people than the protests that followed the December 4 parliamentary poll. Back then, tens of thousands gathered in Moscow’s Bolotnaya Square to demand a fair vote and protest against alleged election fraud. 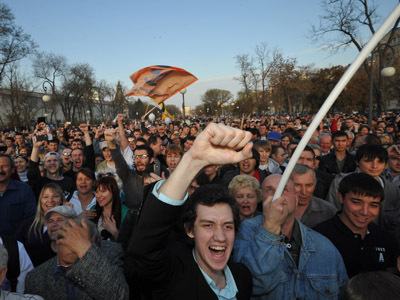 A series of similar rallies were staged across the country in the following months. 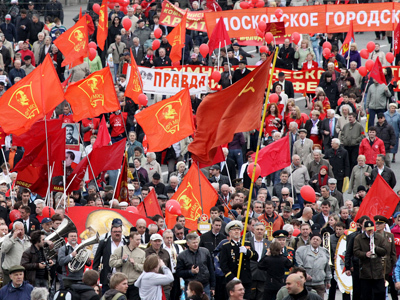 The March of Millions was initially planned for Labor Day celebrated on May 1, and had been agreed with the Moscow Mayor’s office. However, the rally organizers dropped the plan in order “to concentrate their efforts” on a protest on the eve of the inauguration. The demonstrators have yet to get authorities’ permission for the rescheduled rally, and to agree the site of the gathering. However, they stated that irrespective of the decision by the local government, they plan to fulfill their constitutional right to peaceful protest.